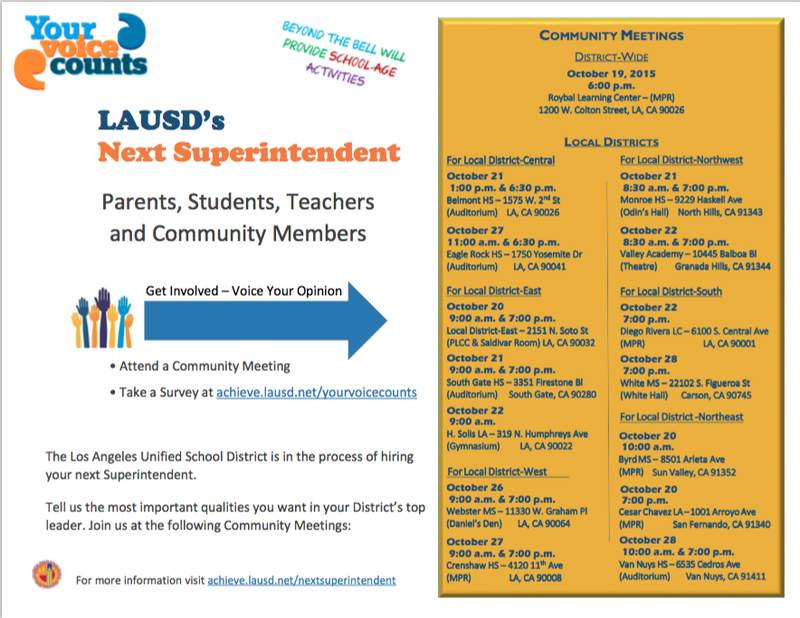 LAUSD’s Next Superintendent: Your Voice Counts! …and on the upside? Holding the potential of children, our future, our next generation, in the palm of your hand, being the Voice of Reason (or Nonsense) or God, facing the mighty challenge of reversing a downward slump, swerving through potholes, setting a New North, becoming a hero, a savior, a rising star in the City of Angels, in shimmering lights, for a shiny new penny, the second-largest school district in the country, the greatest show on earth, the sandbox of creators, makers, and dreamers, where tiny feet tread, and egos clash. Oh, the highs, the lows, the revolving door…that is the helm of LAUSD. It might be dysfunctional, but it’s OUR dysfunctional. Surely SOMEBODY’s up for the challenge. And WE need YOU! 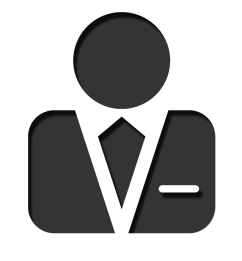 Parents, name your candidates; what you want to see in our new leader. The new Superintendent. According to LAUSD, they’re listening and your voice counts! This entry was posted in Announcements, LAUSD News and tagged community meetings, district engagement, executive search, find a new leader, Head of School, headhunter, hiring qualities, HYA, LAUSD, LAUSD Superintendent position, Schools Chief, strategery, Superintendent Search, survey, Your Voice Counts by gomama. Bookmark the permalink.